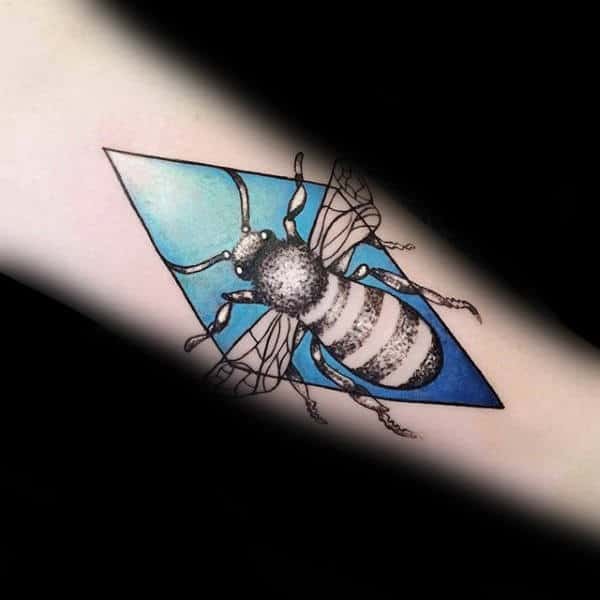 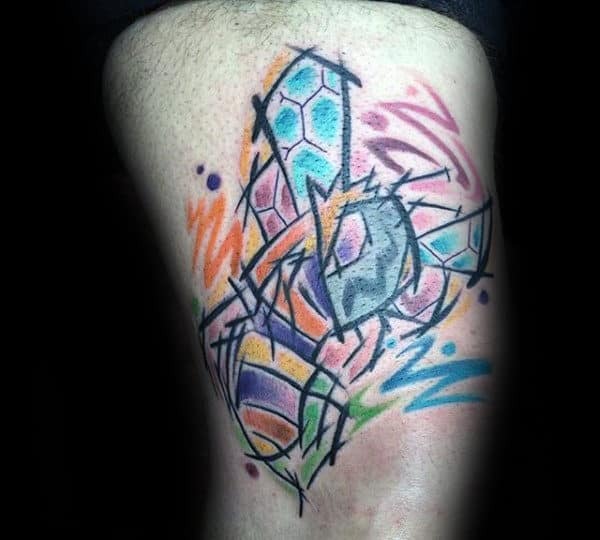 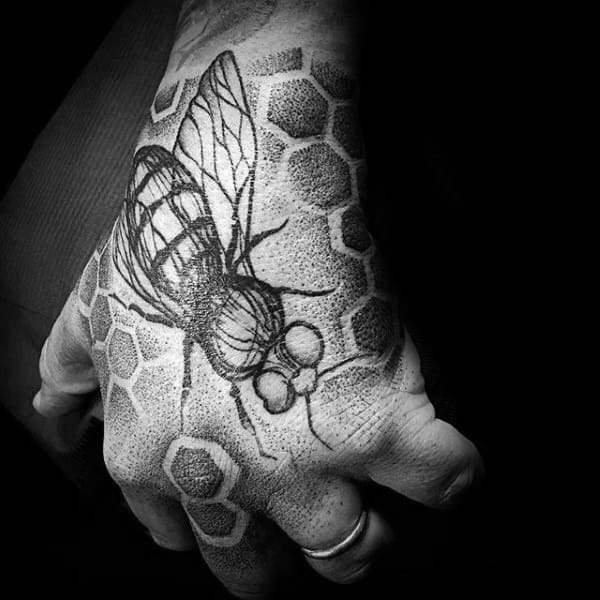 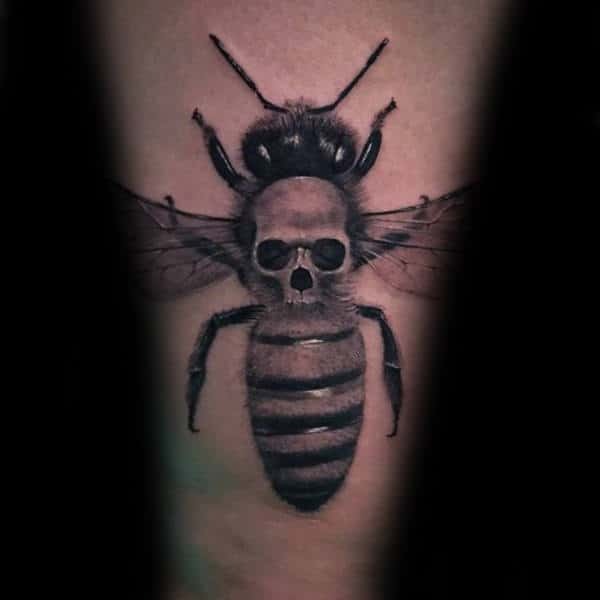 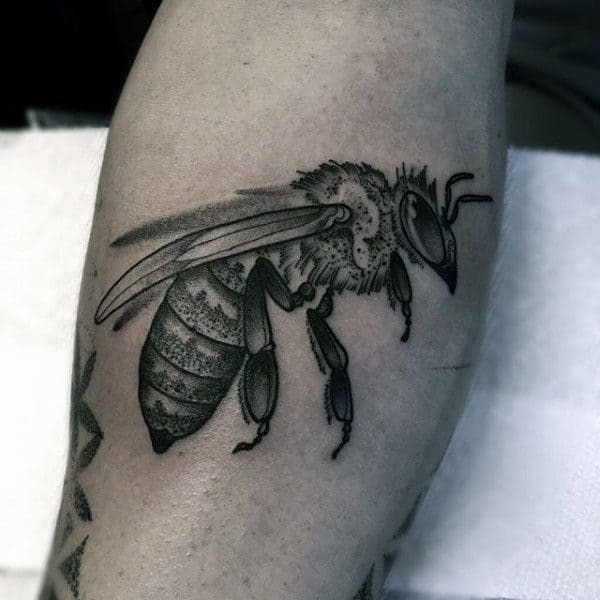 A bee tattoo is riddled with infinite pizzazz that stems from lengthy possibilities in terms of symbolism and execution. 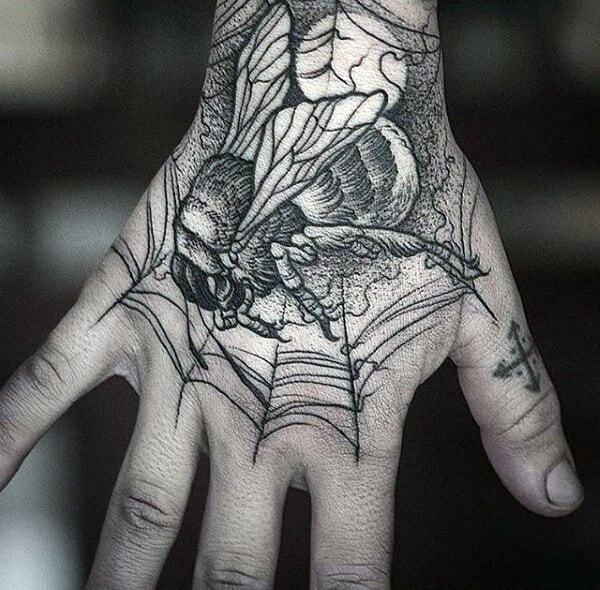 There are no limits to the striking potency of these illustrated insects. 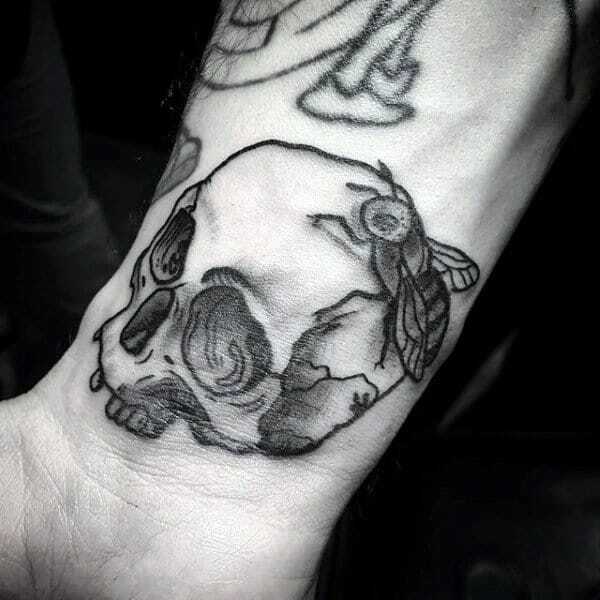 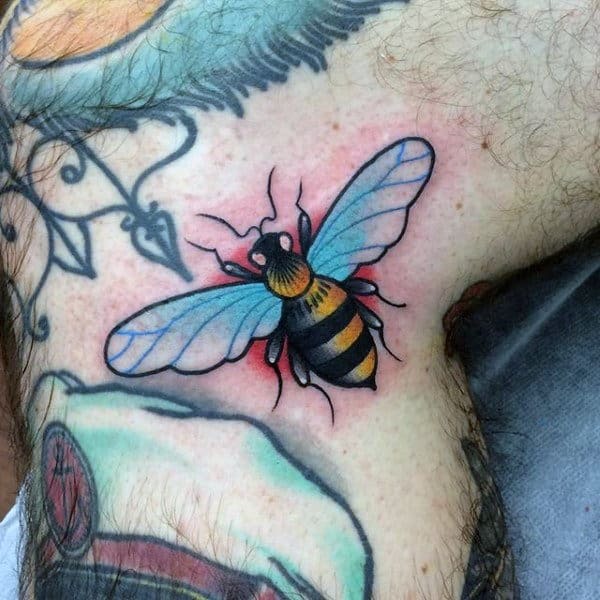 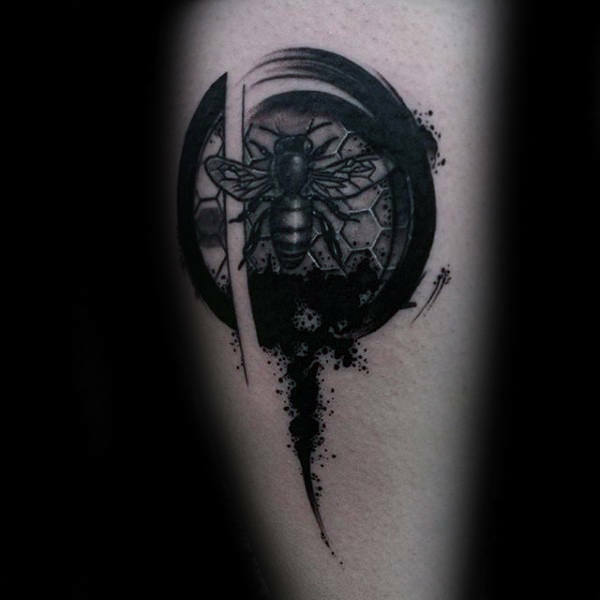 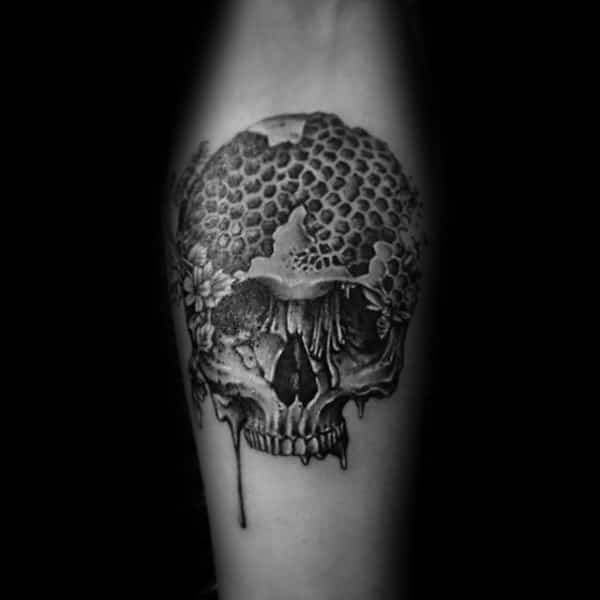 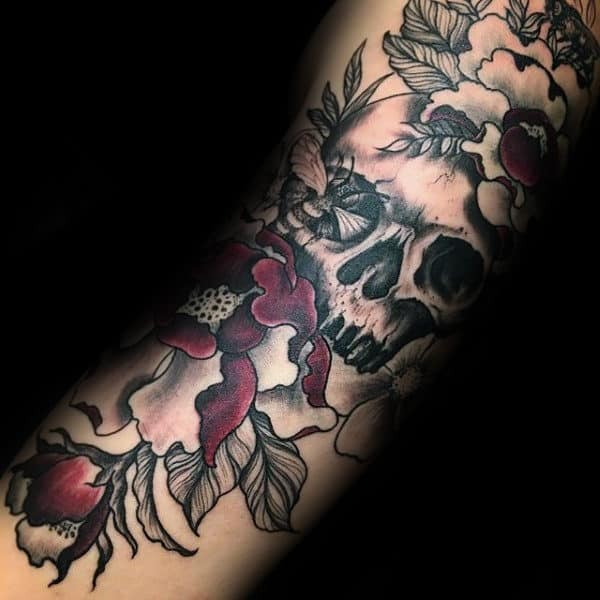 Bee ink is at the forefront of an exquisitely refined faction within today’s tattoo culture. 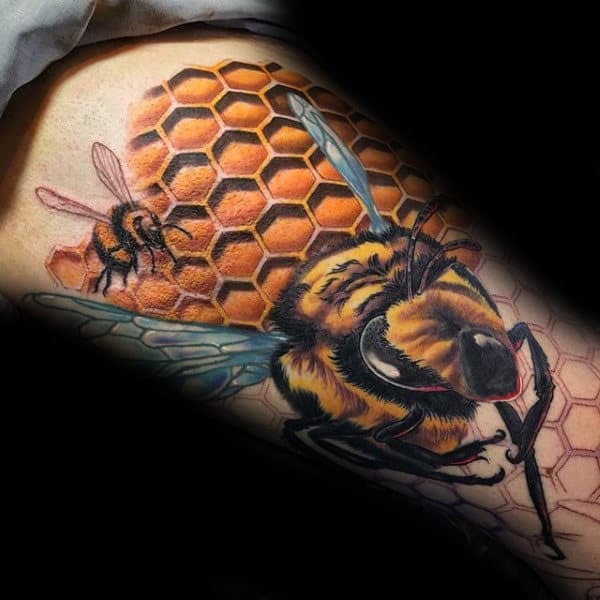 Their yellow and black stripes are intrinsically noticeable, and the rambunctious stinger offers a dynamic visual foundation. 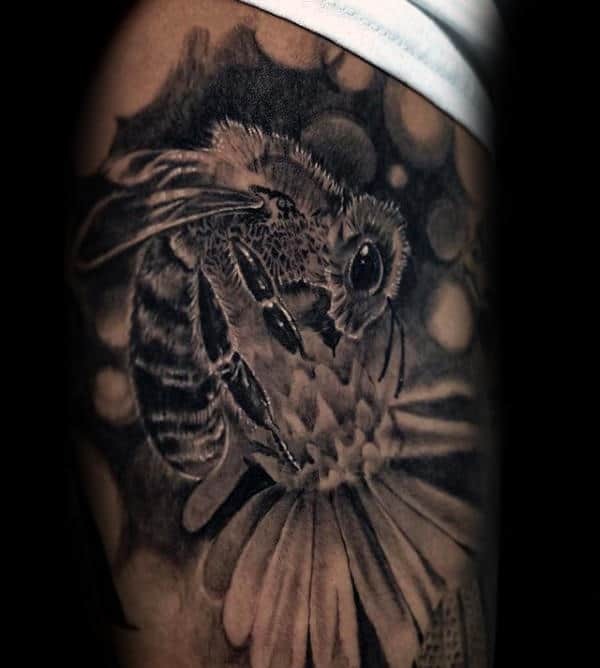 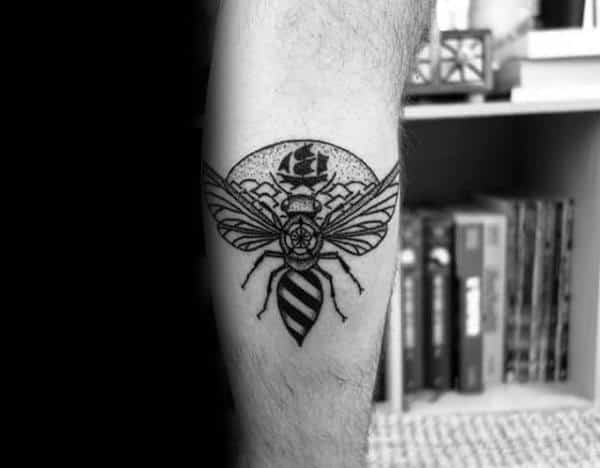 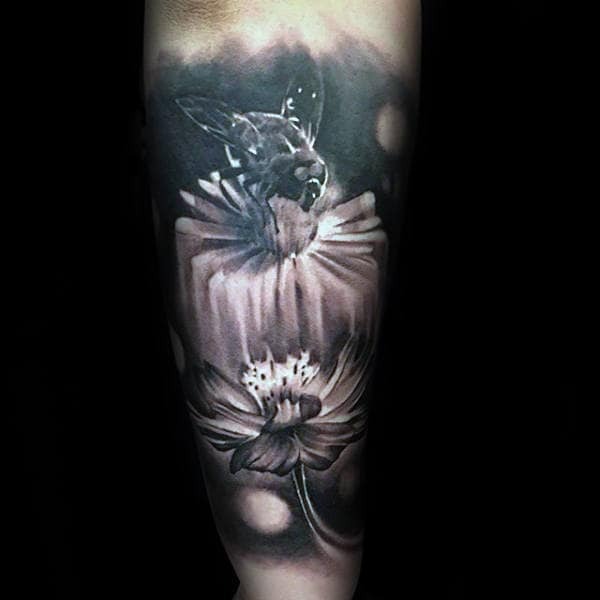 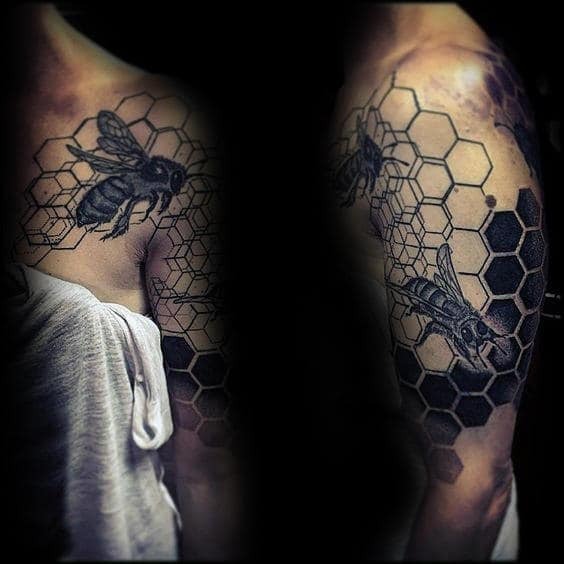 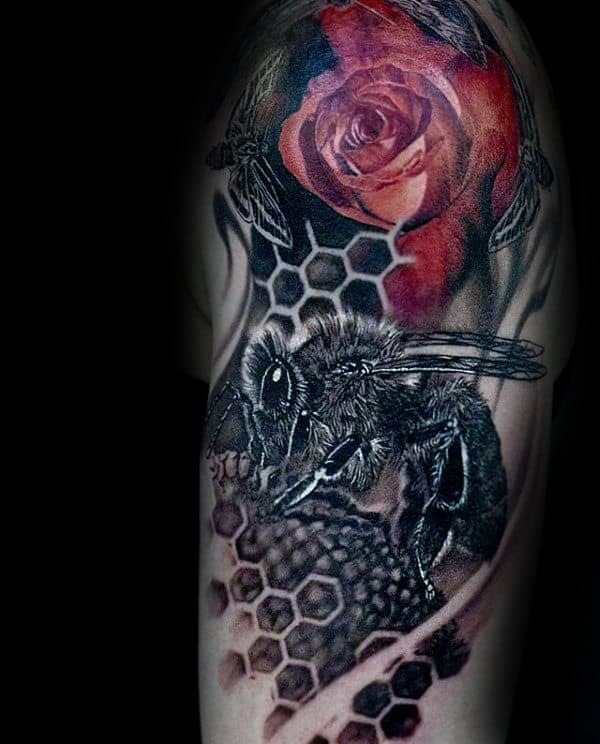 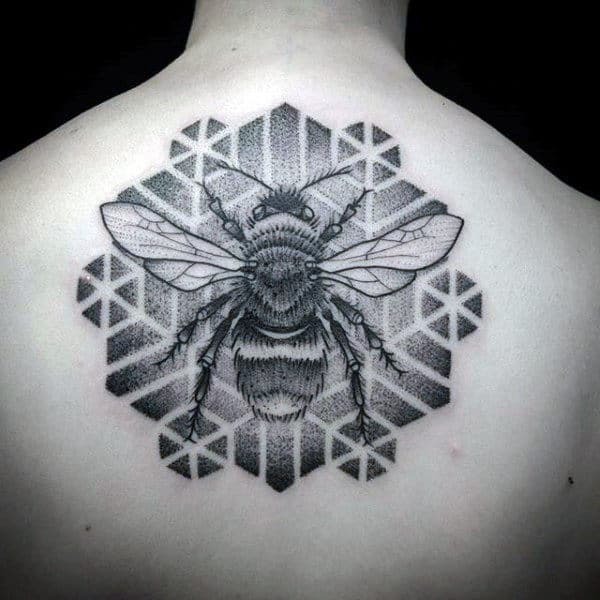 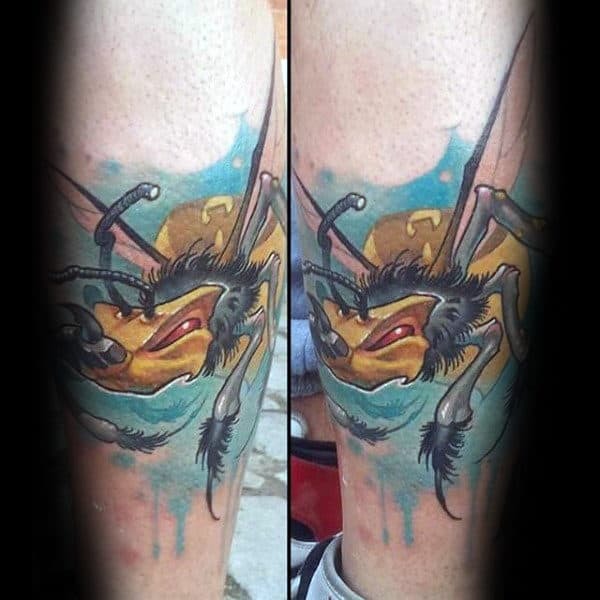 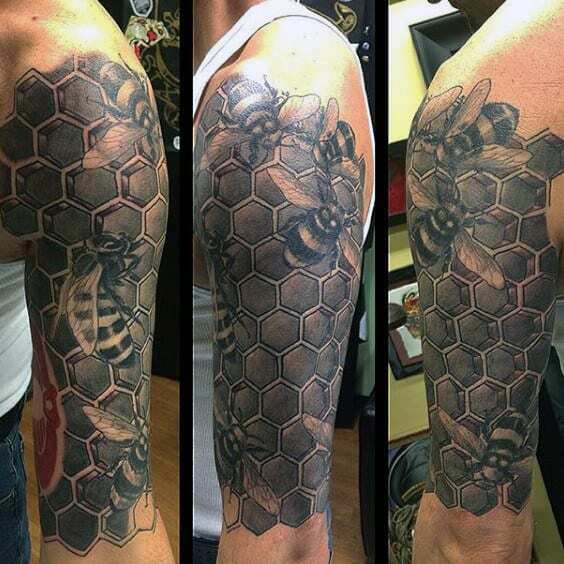 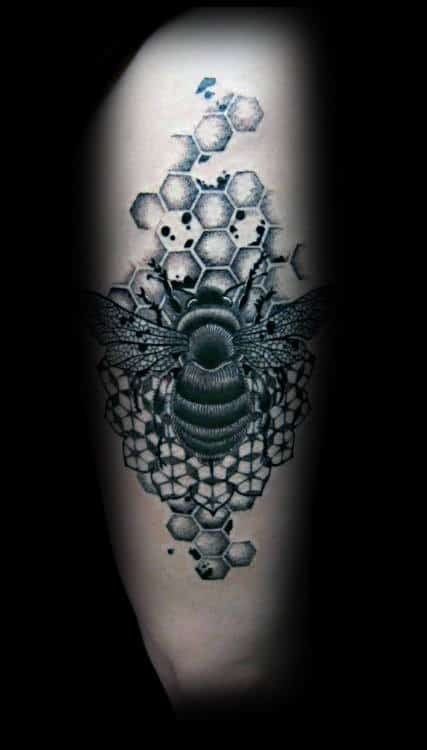 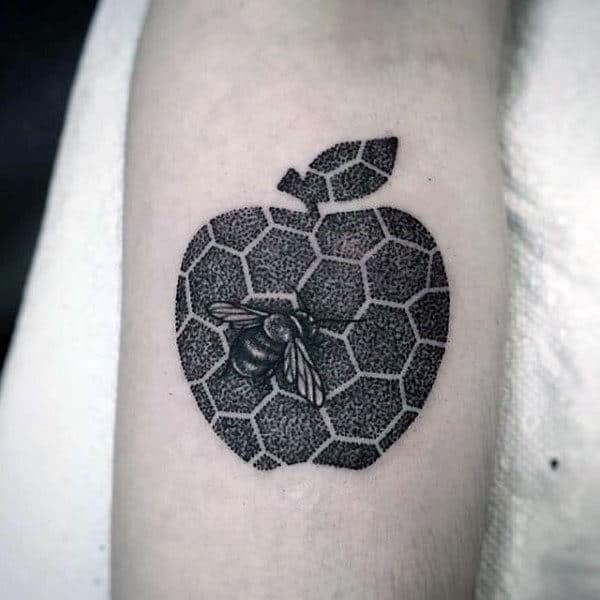 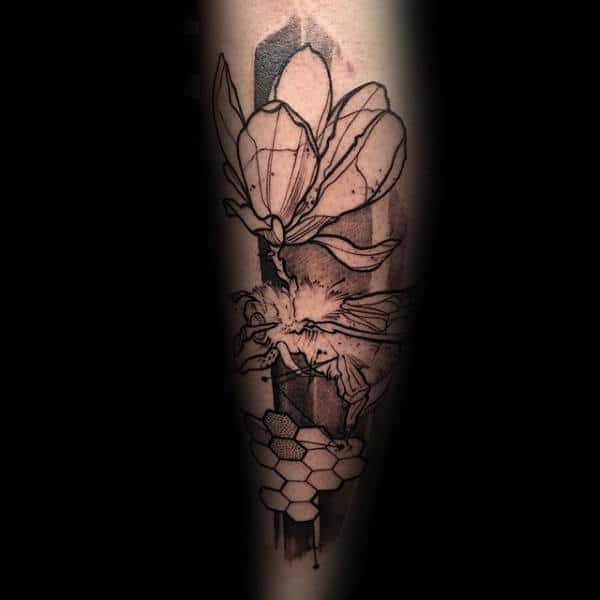 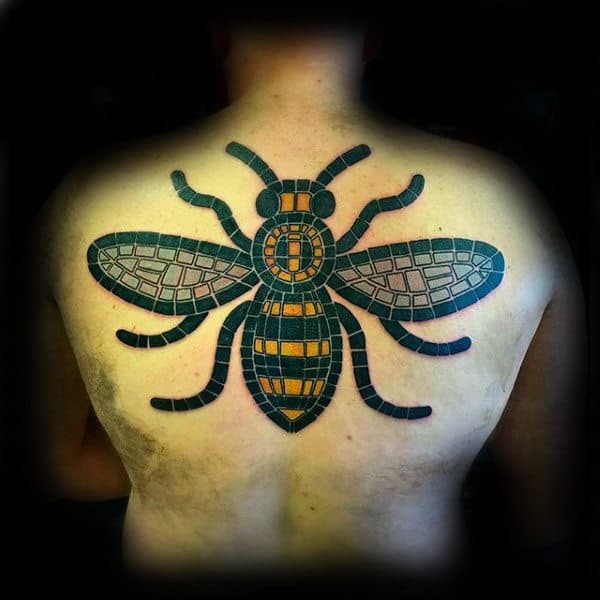 Enormous symbolism is automatically built into the core nature of bee tattoos. 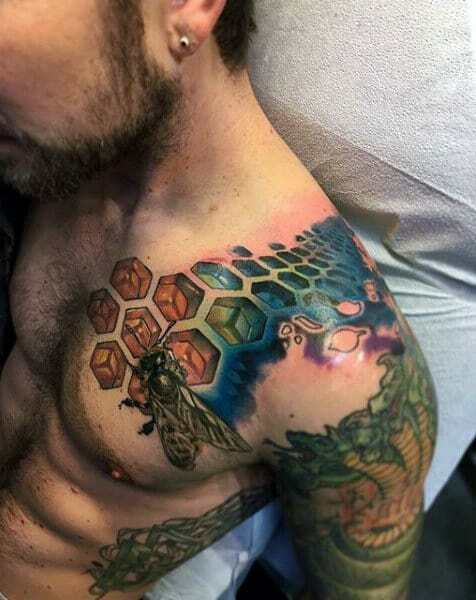 There is plenty of meaning to discern from every single possible angle. 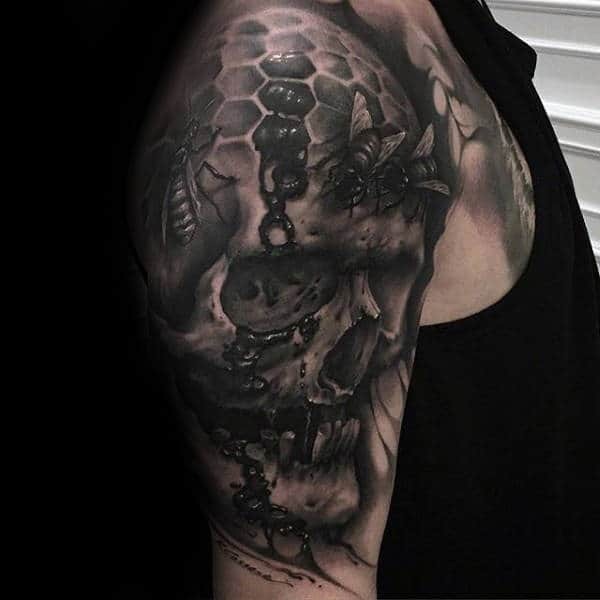 For example, environmentalists can use the visage of these creatures to rep the need for halting their impending extinction, which would have devastating effects on the entire world’s ecosystem. 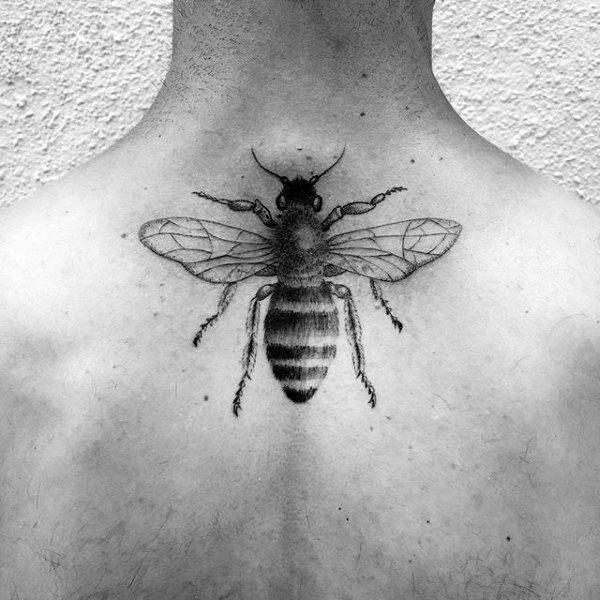 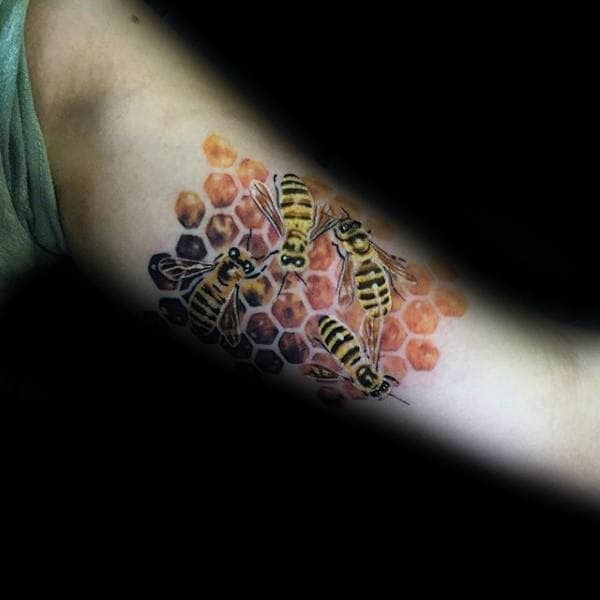 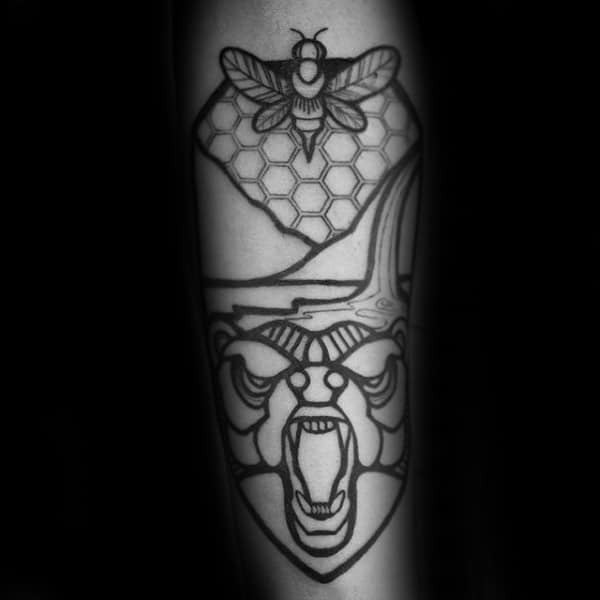 Civilization may also be celebrated from a metaphorical standpoint thanks to bee tattoos. 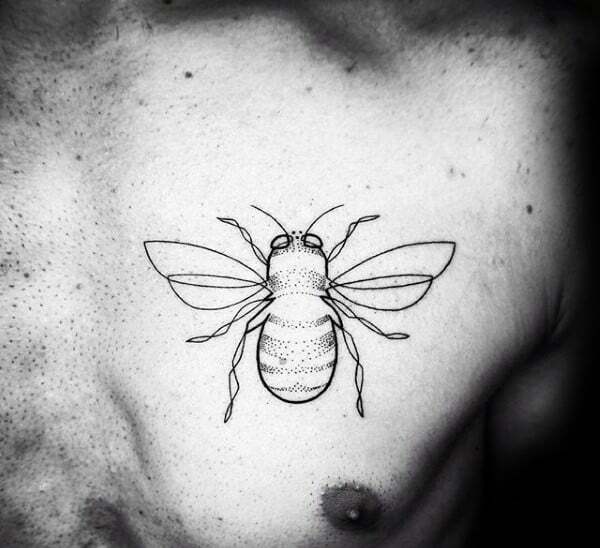 Their busybody mentality in the hive is often considered a microcosm of humanity itself. 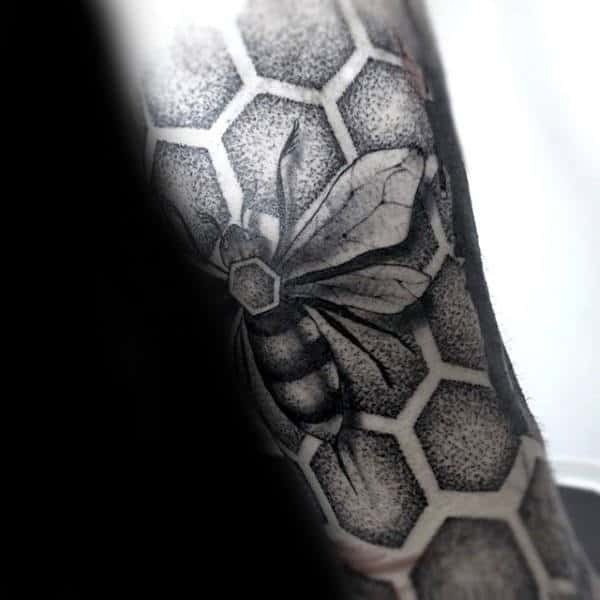 These indefatigable bugs relish a tireless devotion to duty, and any hard-working man can identify with this commitment to exertion. 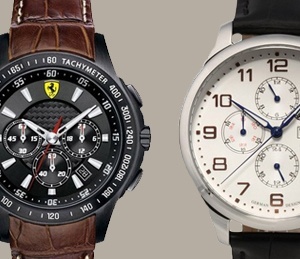 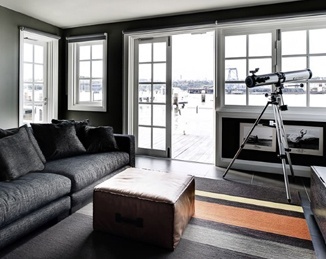 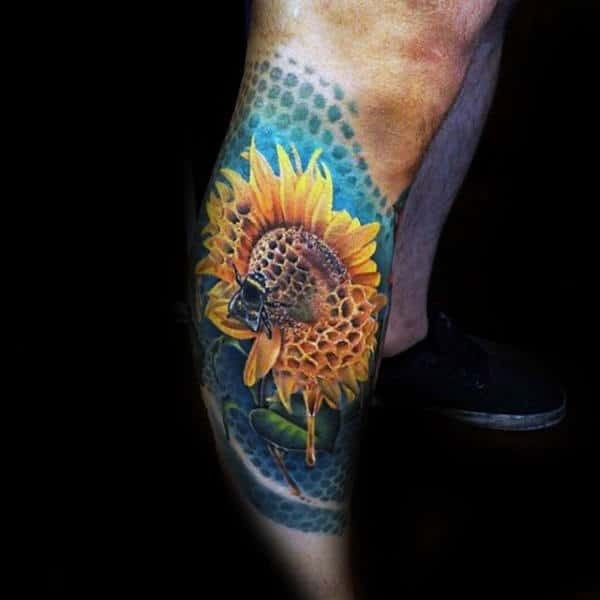 Their pragmatic sense of effort can be flaunted with quirky surrealism or extreme realism. 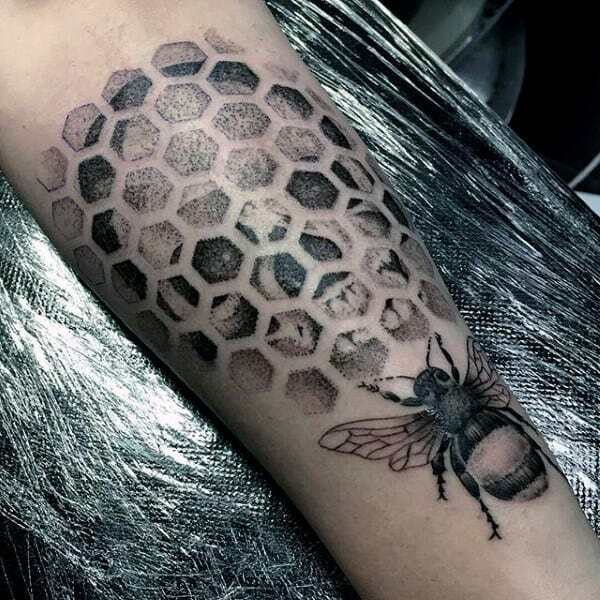 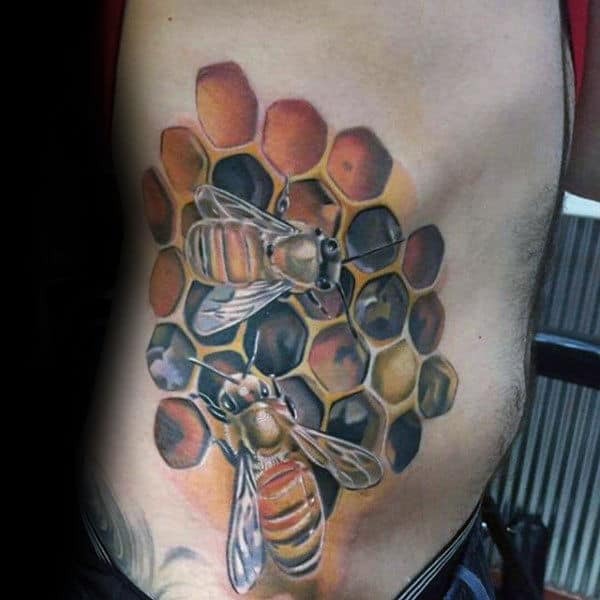 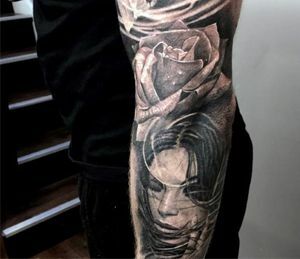 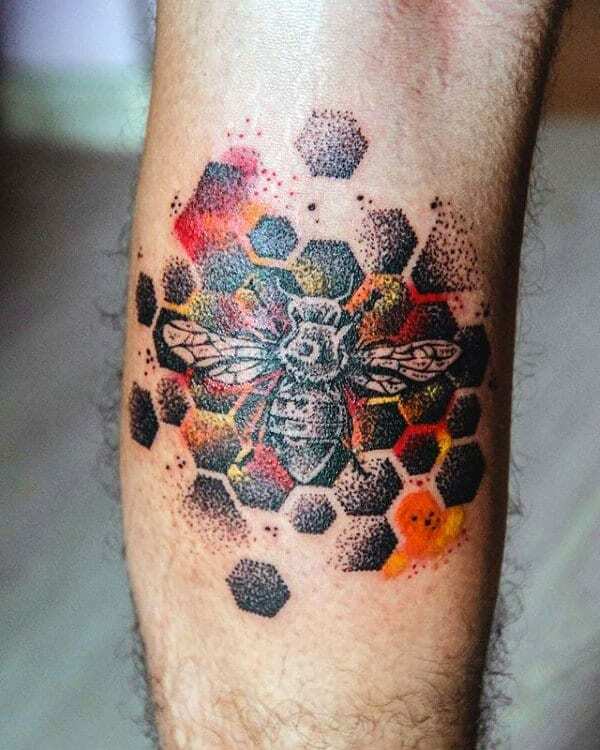 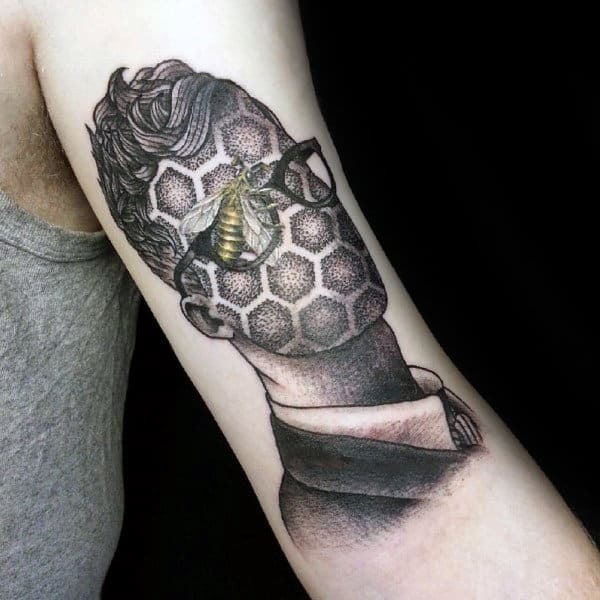 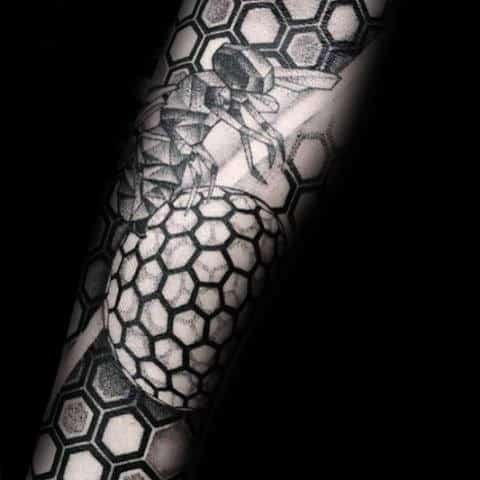 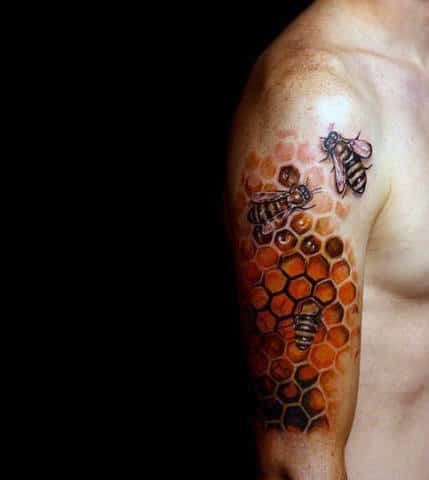 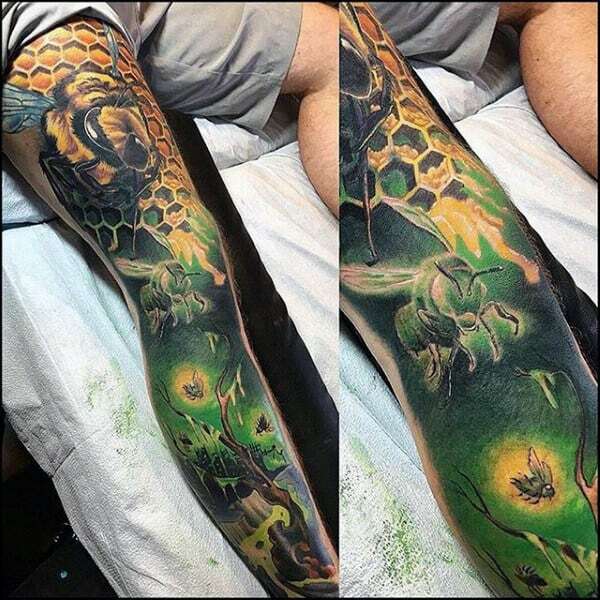 For a bunch of bee tattoos that you will not believe, just check out the following visual encyclopedia that we have purposefully amassed for your viewing pleasure.